After 25 days of biking through the Andes, Jessica and I arrived in Cusco anxious to regain the upper body strength we had lost on the ride. 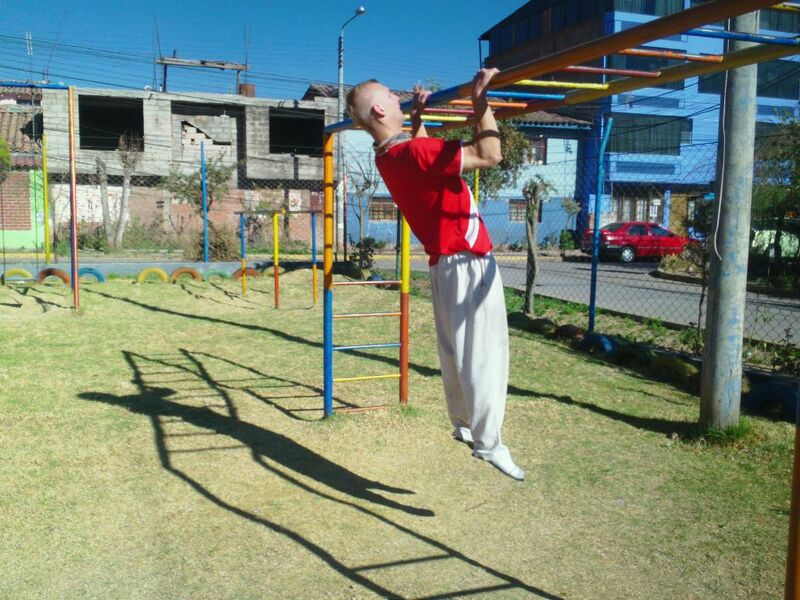 Across the street from the apartment of Jessica’s parents was a playground belonging to a school for the mentally handicapped. Jessica and I took to this colorful training ground with freshly shorn mohawks. Jessica’s stepfather David joined us for our first workout which we recorded with the intent of inspiring other adults to take a second look at the playground nearby and maybe fit in a workout before their morning run or get some strength training in while the kids go down the slide. We made a circuit out of the following three exercises and rotated through each station three times. 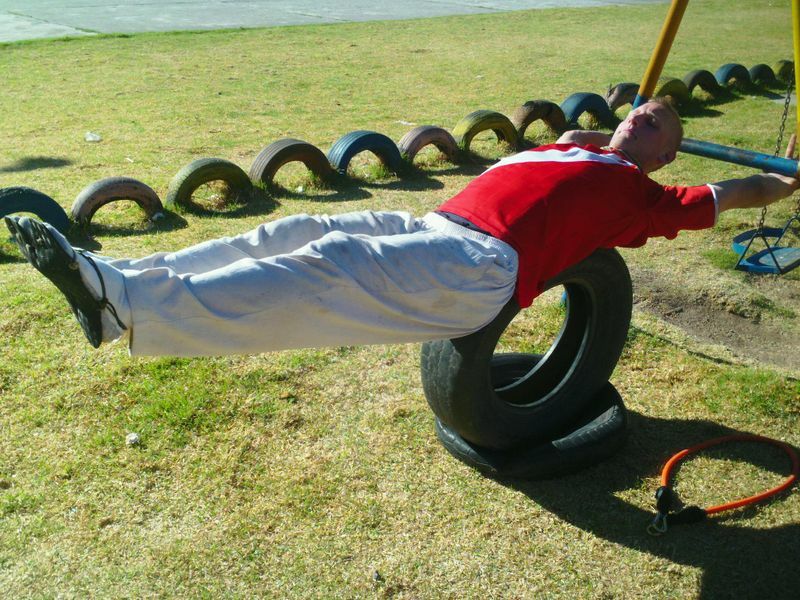 Core: Leg Lift With Arms- I took one of the tires in the playground and put together this anterior chain core and balance exercise. 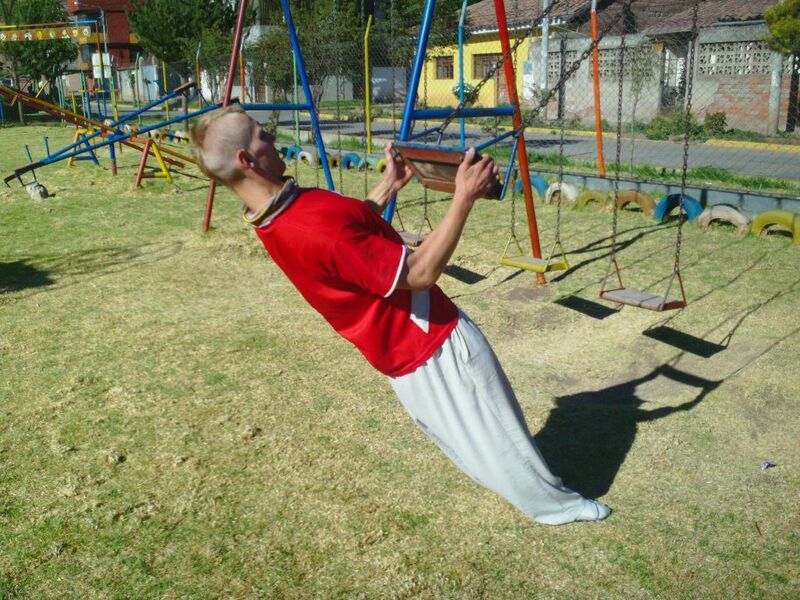 This position is used in a lot of acrobalance poses. Start with the knees bent to the chest then straighten them as far as you are able to hold for 10 seconds. Repeat three times per set. We did the following two pulling exercises but not in a circuit. 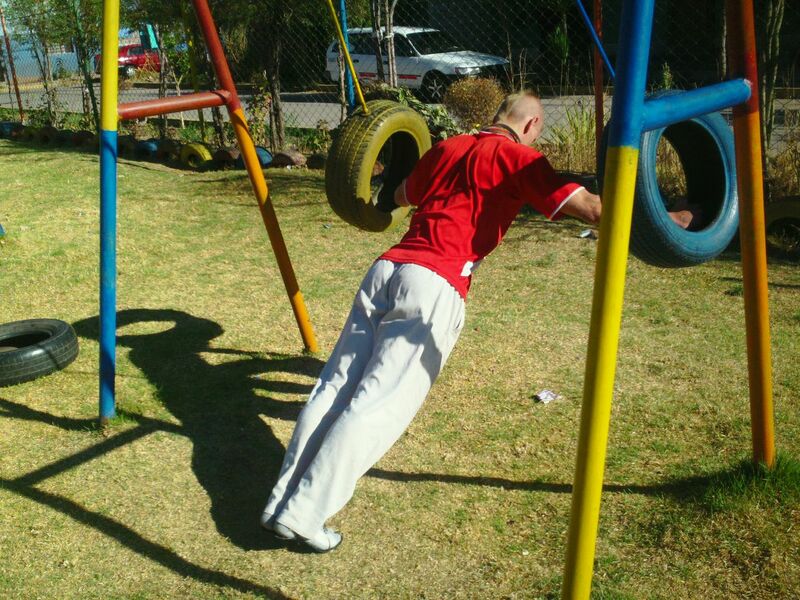 Pull Horizontal: Swingset Rows The more horizontal you are the more difficult it is. Three sets of ten at the angle pictured was plenty after pull-ups. 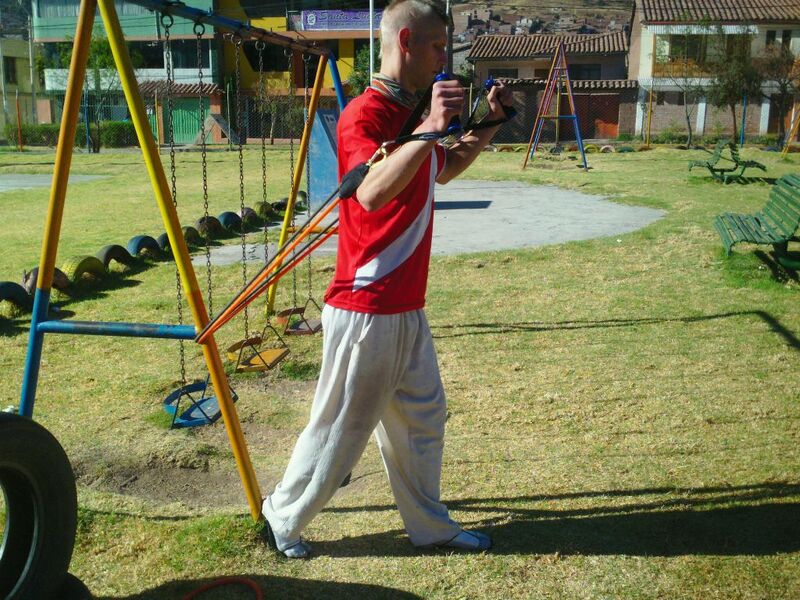 This entry was posted in Partner Workouts: Gravity and Rope. Bookmark the permalink.